God wants you to have awesome relationships! When people see a healthy, love-filled, life-giving relationship, they take notice. Because they’re so different from the relationships that are all around us. 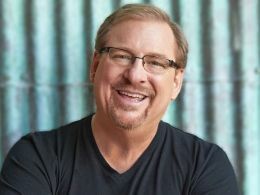 But meaningful relationships are not automatic or easy—which is why we want to send you Pastor Rick Warren’s Awesome Relationships study kit as thanks for your gift below.